Use Shadow’s unique Stompin’ Bass to add dynamic percussion to your performance. 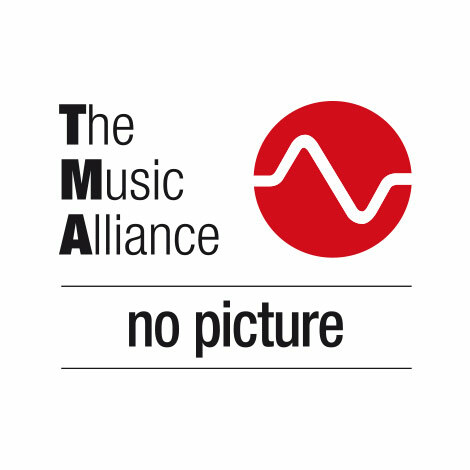 Perfect for solo artists, percussionists and bands. For those of you who like to create a natural rhythm to accompany your playing, the Stompin’Bass is the perfect solution. The Stompin'Bass has a unique and compact design that is very robust and road worthy with a high quality Shadow NanoMAG pickup system. It adds dynamic percussion for solo artists and bands alike. The Stompin’ Bass is played simply by tapping the surface with your foot, and its angled design allows for hours of tireless use. Upgrade the sound of solo artists but of any band without a percussive instrument. Made out of chosen rosewood which is often used for high class bass guitars the Stompin’ Bass is a unique instrument that adds dynamic percussion for solo artists and bands alike. The removable rear extension supports your heel, and the anti-slip surface keeps the Stompin’ Bass in place. Toneful bubinga wood houses Shadow’s high quality, patented NanoMag pickup. Combined they produce a very natural, deep, warm percussive sound. 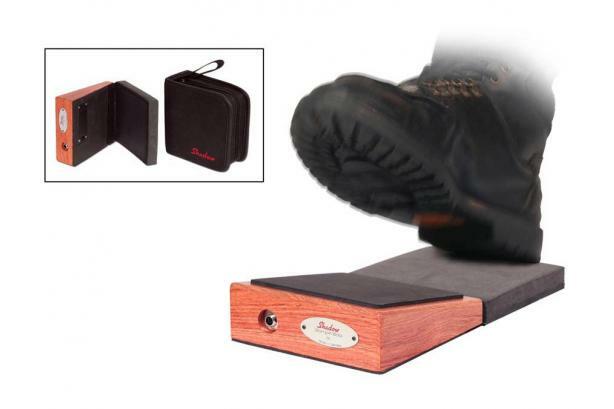 The Stompin’ Bass is shielded making it free from noise and interference. The Stompin’Bass is both versatile and easy to use. The slanted top gives a player comfort and easy use with the foot. You can either play it by using your toes or your heel. The underside of the Stompin’Bass is covered with a special anti-slip material. Because of the NanoMAG pickup and the active electronics inside the Stompin’Bass supplies, unlike other similar percussive products, a full, deep and warm bass sound. As it is a humbucker, it is free of 50/60Hz hum. A completely shielded case and low impedance output protect it from outside magnetic disturbances and makes it totally hum-free. The electronic circuitry is powered by a single 9V battery with extremely low power consumption. The battery turns on automatically, as soon as you plug the instrument cable into the endpin jack. To prolong battery life, take the cable out, when not in use. Depending on your equipment and its EQ setup, the material of your shoes and how hard you stomp you will get different sounds. The Stompin’Bass has a standard output jack which can be plugged straight into any PA or EQ, pedal, guitar amplifier you like, to produce the tone and volume which best suits your style. It even comes with its own special carry case.